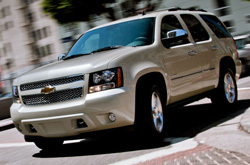 Thank you for selecting Midway Chevrolet as your source for 2013 Chevrolet Tahoe reviews. As the the foremost Chevrolet franchise in Phoenix it is our mission to supply our customers with Chevrolet reviews authored by the most outstanding Chevrolet writers in the world. This Chevrolet review article contains everything you need to know about the Tahoe and it's specifications, mpg and more. Does the Tahoe have what it takes to be your next Chevrolet? Continue reading and find out! By examining the 2013 Chevrolet Tahoe next to the 2013 Toyota Sequoia, Buick Enclave, GMC Yukon, Ford Flex, Dodge Durango and the Jeep Grand Cherokee, and you can spot that the Tahoe trumps those autos in several zones. Pay attention to the hightlights below. 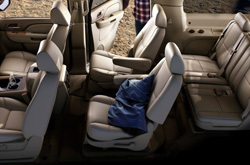 To get your Chevrolet Tahoe worked on by phenomenal service techs, you don't need to look far. Our Phoenix auto service center is a brief jaunt away and we offer a 12-month warranty on every service. Keep your Tahoe running its best for years; have it serviced by Midway Chevrolet's manufacturer-trained car repair employees. We can manage a chore as simplistic as an oil change, or handle intricate car service and repairs like Chevrolet timing belt replacements, transmission rebuilds, and strut and shock repairs. Furthermore you can look forward to economical prices on all repairs, as well as professional service every time you come to Midway Chevrolet. For on the spot savings, check out coupon specials at the subsequent link.